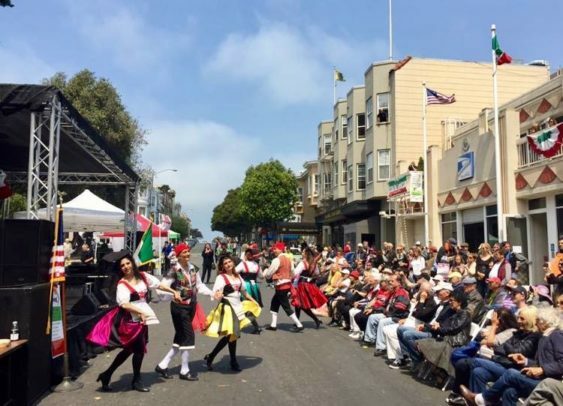 Come and enjoy continuous live music, authentic Italian cuisine, wine tasting, the Ricco Italian Dancers directed by Toni Bava, and an expert pizza toss by 12 time World Champion and restaurateur Tony Gemignani of Tony’s Pizza Napoletana of North Beach. Enjoy browsing through the Italianissimi inspired products of the vendors while you sip a beverage, taste some delicious Italian food and stroll to the live music, as you make your way up Stockton Street to the display of vintage Italian autos and scooters provided by Bello Moto of San Francisco. There will also be free concert in celebration of the 100th Fiesta Coliniale Italiana immediately after the festival.